At least half-a-dozen public sector firms, the railways and various ministries are in the process of creating infrastructure and manufacturing components for electric vehicles (EVs). By one estimate, the size of the EV market in 2030 would be Rs 42,000 crore. Hence, significant investment is being mobilised, in the private sector, too, to manufacture and install EV supply equipment infrastructure. This... Read more..
GAIL (India) Ltd is set to complete the purchase seven wind power plants from India's debt-ridden Infrastructure Leasing and Financial Services (IL&FS), after offering 48 billion rupees ($689.3 million), IL&FS said on Monday. The deal is expected to close within three weeks. GAIL's offer contemplates no hair-cut to the debt of the plants, which is around 37 billion rupees, IL&FS said. Last year, sources told Reuters that GAIL would not consider buying the entire wind energy assets of IL&FS... Read more..
Of the 3.6 million (FY19) car industry, EVs constitute around 1,000 units per annum, according to industry data, and together with two-wheelers the industry notches up over 54,000 units annually... Read more..
Two months after FAME-II, car manufacturers are now voicing their disappointment over certain exclusions in the second phase of the electric vehicle incentive scheme rolled out by the government. FAME-II (Faster Adoption and Manufacturing of Hybrid and Electric Vehicles) has been in force since the start of April. The scheme does not provide incentives to private car buyers, unlike FAME-I, where buyers... Read more..
A large number of wind energy projects have been bid out since auctions for such projects began in early 2017, both by Solar Corporation of India (SECI) and state agencies, but only a small fraction of them have been commissioned so far. Out of the 500 mw of wind capacity bid out by Tamil Nadu two years ago, for instance, only 50 mw has been commissioned so far, according to a senior state government official. State-run Solar Energy Corporation of India Monday extended bids submission deadline for the third time for manufacturing-linked 3GW solar power tender till May 14. "The RfS (request for selection) Selection of Solar Power Developers for Setting up of 3GW ISTS (inter state transmission system) Connected Solar PV Power Plant linked with setting up of 1.5GW (Per Annum) Solar Manufacturing Plant under Global Competitive Bidding (Phase-II)," a SECI notice on its web portal stated. According to the notice, the... Read more..
Mytrah Energy India Pvt Ltd (MEIPL), an independent producer of renewable energy, is in advanced stages of talks for divestment of stake. According to unconfirmed reports, Brookfield Asset Management Company Inc of Canada, an active investor in various sectors in India, is engaged in parleys with the company to invest in the latter’s assets valued at about $1.5 billion. India could make a major dent in air pollution and save about 270,000 lives a year by curbing emissions from dirty household fuels such as wood, dung, coal and kerosene, according to a study led by researchers from IIT Delhi. Eliminating emissions from these sources -- without any changes to industrial or vehicle emissions -- would bring the average outdoor air pollution levels below the country's air quality... Read more..
An amount of $ 5 billion every year is required to implement public-private partnership (PPP) model for municipal solid waste management (MSWM) in Indian cities, noted a recent ASSOCHAM-EY joint study. The study titled, ‘The big “W” impact: effective urban waste management solutions in India,’ conducted by The Associated Chambers of Commerce and Industry of India (ASSOCHAM) jointly with global advisory services... Read more..
Delhi Metro trains will now also run on solar power as the DMRC on Thursday received 27 MW power from the Madhya Pradesh-based Rewa Solar Power Project, officials said. This will also be the first time when the Delhi Metro Rail Corporation (DMRC) will be receiving power from an "offsite source". "Till now, solar power generated by roof-top solar plants installed in DMRC premises were utilised for auxiliary... Read more..
As part of the investment, Ola said the companies will also work on improving local infrastructure in India and building electric vehicles for the nation, as well as developing solutions to operate and manage fleet vehicles. Today’s investment also marks the foray of Hyundai Motor Group, which currently focuses on manufacturing and selling automobiles, into developing a complete package of fleet solutions. As part... Read more..
South Korean auto major Hyundai is looking at various options for sourcing electric vehicle (EV) components in India, including local manufacturing of battery parts, a top company official said. The automaker, which is present in India through its wholly-owned subsidiary Hyundai Motor India Ltd (HMIL), said it is also looking for further clarity in government policy to drive in hybrid models in the country. “We are... Read more.. The Union ministry of environment forest and climate change has issued a show-cause notice to the Okhla waste-to-energy plant for violation of the environmental clearance. Last month, residents of Sukhdev Vihar, Ishwar Nagar, New Friends Colony, Jasola, Sarita Vihar and Haji Colony took out a rally to protest against the plant. 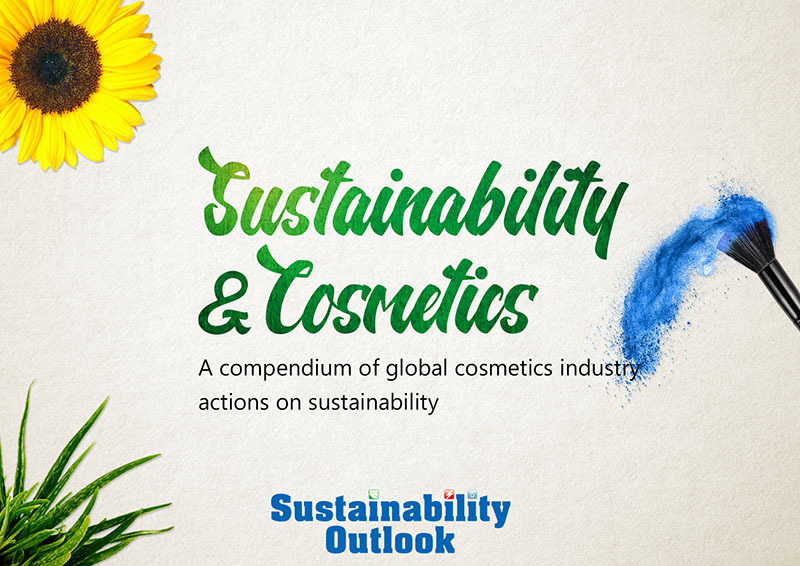 "In September 2018, the National Green Tribunal was told by a joint inspection committee... Read more.. The West Bengal Housing and Infrastructure Development Corporation is planning to achieve vertical growth by allowing mixed development in New Town to achieve the platinum green city tag by the Indian Green Building Council. In the concept of mixed development residential units are allowed to be built within commercial establishments. ... Read more.. The pace of adding renewable generation capacities slowed down in FY19 with just 8.6 gigawatt (GW) of solar and wind power plants getting commissioned in the fiscal. The country had added 11.3 GW and 11.8 GW of renewable capacities in FY17 and FY18, respectively. The installed renewable capacity now stands at 77.6 GW. Experts have attributed the situation to devaluation of the rupee, rising finance costs,... Read more.. Hero Group’s renewable energy arm and NYSE-listed Azure Power are gearing up to raise $1 billion by selling bonds to overseas investors over the next few weeks in separate offerings, according to people briefed on the matter. The Delhi-based green power rivals are looking to mop up $500 million each and have appointed investment banks to underwrite the offerings. Hero Future Energies, led by Rahul Munjal, a... Read more..
Telangana will add another 1,000 MW of solar energy capacity in next six to eight months taking the total installed capacity to over 4,500 MW in solar power segment, a senior official said Wednesday. 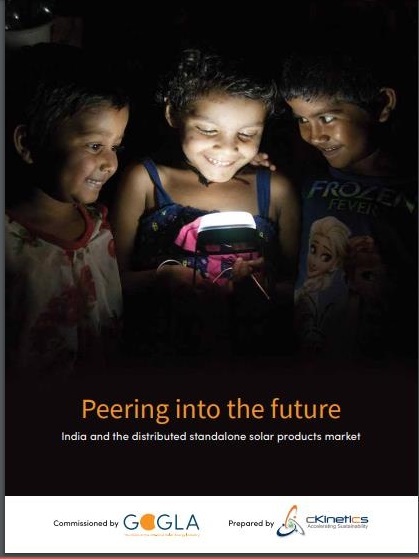 International Solar Alliance (ISA), the global grouping of sunshine-rich countries led by India, is planning to launch global editions of its flagship industry event Re-Invest in response to the huge interest witnessed from the overseas entities. As a first step, ISA has signed an agreement with South American nation Peru to organise RE-Invest in that country in November and the overseas avatar of the mega... Read more.. The court on Tuesday issued notices to the Centre, the GST Council and the... Read more.. In a major development towards its growth prospects, Routematic, India’s leading fleet service and transport automation software provider, has raised $2.5 million in a Pre Series A round from its existing investor VAMM ventures. Naresh Malhotra, a serial entrepreneur and ex-Coffee Day CEO led the funding for the company. With the latest round of funds, the company stands with a total raised capital of USD 4.5 Million and plans to establish itself as the biggest EV player in the country in the next 4 quarters... Read more..
IIT-Madras startup Swadha Energies, a maker of tech-powered energy conservation solutions, has raised undisclosed amount of funds in a pre-Series A round from angel investor groups Indian Angel Network (IAN), Keiretsu Forum and Stanford Angels. 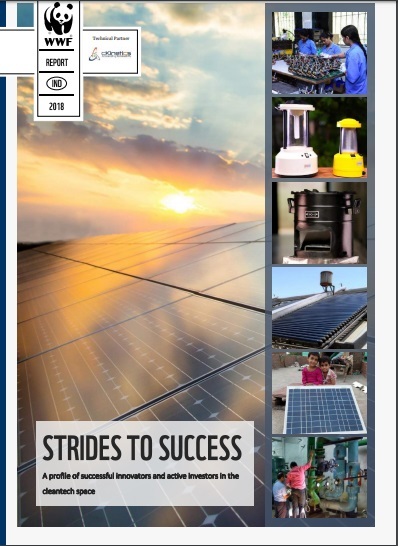 This is the startup’s first round of institutional funding, and IAN members MVS Mani, co-founder and MD, Future Focus Infotech, Nitin Zambre, former MD, ICF India,... Read more..
India is lifting a target for renewables to 227 Gigawatt (GW) of renewable energy capacity by 2022 because the country is well on its way to exceeding the previously set target, vice president Venkaiah Naidu said. The country had already indicated it will launch $5bn (€4.43bn) of transmission-line tenders in phases, beginning in June, to route a targeted 175 gigawatts (GW) of power from renewable sources into the... Read more..
ADB committed to provide USD 3 billion in sovereign loans to India in 2018, the highest level of assistance since sovereign operations began in the country in 1986, said the annual report of multilateral lending agency. In all, the Asian Development Bank (ADB), owned by 68 member countries, committed a total of USD 3.88 billion, including sovereign loans and co-financing during the year ended December 2018.... Read more..
Shuttl and BSES Rajdhani Power Limited (BRPL) have become the latest Indian business giants to join The Climate Group’s EV100 initiative.Through their EV100 membership, Shuttl, a leading mobility services company and BRPL, a leading utility company, have pledged to switch their fleets to electric and install charging infrastructure where they have operations – accelerating the electric mobility transition in India... Read more.. Adopting electric vehicles (EVs) could improve overall air quality and lower carbon emissions, according to a study. Researchers from the Northwestern University in the US quantified the differences in air pollution generated from battery-powered electric vehicles versus internal combustion engines. They found that even... Read more..